UPDATED: Tue., Jan. 30, 2018, 7:18 p.m.
DALLAS – After the Boston Celtics, with whom he’d played his first four NBA seasons, cut ties after last season, Kelly Olynyk had to decide where to play this season and beyond. Olynyk, 26, the 13th pick in the 2013 NBA Draft by the Dallas Mavericks, who was traded to Boston on draft night following a stellar career at Gonzaga, had several criteria for finding a new team. Having grown up in British Columbia, he wanted to play close to home, but since there are no longer NBA teams in Seattle or Vancouver, that possibility was moot. “If I could play closer to home, up in western Canada and near Gonzaga, that would’ve been super special and an opportunity that I would have taken advantage of,” Olynyk said. Olynyk had four solid seasons in Boston, but like many of his NBA brethren, he wanted to play for an organization that pushed him to maximize his skills. After hearing plenty of positives about the Miami Heat and their ability to develop young players, he signed a four-year, $50 million contract with them last July. With the Heat, he’s appeared in 50 games, starting 19, and is averaging 10.9 points, 5.6 rebounds and 2.3 assists. After hearing longtime Miami head coach Erik Spoelstra discuss Olynyk’s contributions, it’s clear he’s been a great fit. Receiving such heady praise from Spoelstra, who led the Heat to back-to-back NBA titles in 2012 and 2013, is a badge of honor Olynyk wears with pride. Another big source of pride for the affable big man is being one of three Gonzaga products playing in NBA, a group he looks forward to seeing grow in the future. “It was a special, special time,” Olynyk said of his time as a Bulldog. “I had four great years there, played three, but it’s a lot more about the people that are there, the coaches, the staff, the people that are around Spokane, the community that really kind of makes your time there so special. 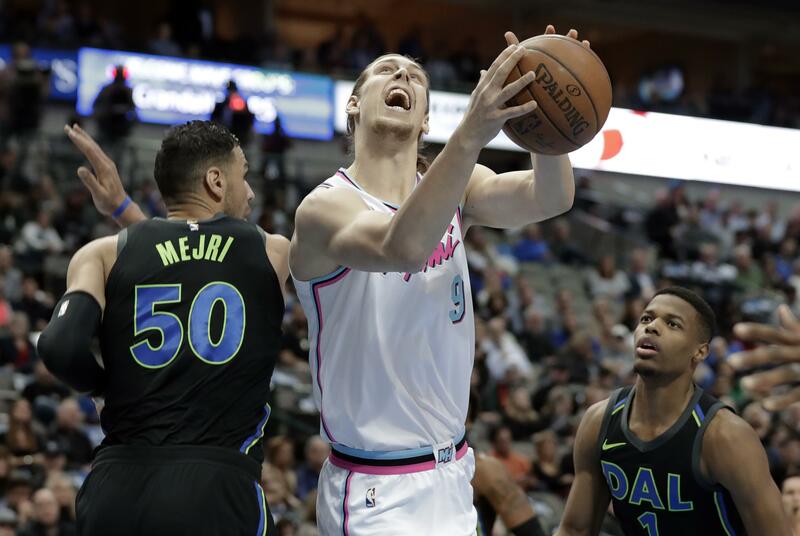 Olynyk was further reminded of that bond as an ex-Bulldog on Dec. 13 when the Portland Trail Blazers, with Zach Collins, a lottery pick in last year’s NBA Draft after one year at Gonzaga, visited American Airlines Arena to play the Heat. “Yeah, when he came to Miami, I definitely talked to him to see how he’s doing. Just kind of helping him out, there’s that brotherhood and that fraternity, so to speak,” Olynyk said. “You want those guys to succeed. They’re your brothers. “He didn’t end up spending a lot of time there because he’s so good. He had the opportunity to get up out of there, but he helped that team do some special things and something that they never did before, so he has his place in history as well. Stephen Hunt is a freelance writer based in Frisco, Texas. Published: Jan. 30, 2018, 6:13 p.m. Updated: Jan. 30, 2018, 7:18 p.m.